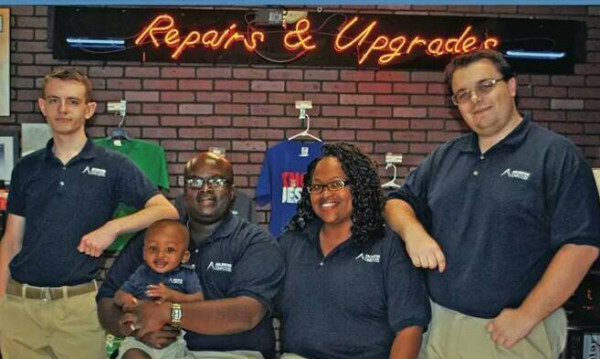 Tony M. Jackson owns and operates Arlington Computers in Arlington, TN which specializes in computer hardware, repair, sales, service, and consulting. Jackson has achieved so much as a young businessman and owes his success to the many clients and customers who frequent his business. Jackson believes in being a big giver of time to the community and wholeheartedly upholds a Givers Gain mentality. He even created his own philosophy of “People Over Profit” or the POP Method, that is documented in his seven-topic business guide “Pulling Customers Back To Small Business”, now available at Barnes and Noble, Amazon, and other book sites. It comes at no surprise that his company has just crossed over the 10-year mark, becoming a staple in the suburban community. Years ago, Jackson promised to keep his business “Family Friendly” and to always create a positive environment that would make people feel comfortable. This holds true today and it is a principle from which he has very strictly not deviated. Jackson serves on the Board of Directors for the Arlington Chamber of Commerce, stands in as a Mentor for several youth organizations, and sits on many committees throughout Arlington and the City Of Memphis. Jackson has been razor-sharp focused on climbing the ladder to success since an early age. He is a graduate of Raleigh Egypt High school, class of 2002, and continued his studies at Tennessee College of Applied Technology (formerly the Tennessee Technology Center at Memphis). Shortly after, he received IT certifications at New Horizons Learning Center of Memphis. Mr. Tony M. Jackson is a dedicated member of the Black Business Association, a faithful servant to God, Husband, Father, and a friend to all mankind.